There is certainly excitement in meeting and dating someone so very different from yourself. Learning about a new culture or traditions certainly has its place; some argue that in surrounding yourself with new and varied cultures can deepen your appreciation for your own. For some black women, dating outside of their race or culture is necessity (living in an area with few black men, for example) but for others dating outside of their race or culture is exiting, or perhaps happenstance. Sometimes we fall in love regardless of the exterior of our partner. 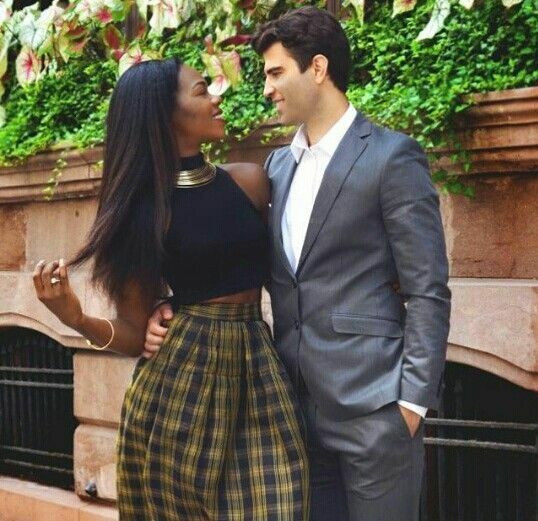 Despite the reasons why black women seek white men, there are some pros and cons to consider prior to committing to the first date, or to something more serious. This advice is meant for both parties, and is more what to consider first than step by step instructions. First, and foremost, the relationship should certainly be based on your own personality and not the perceived cultural expectations. All too often, when approaching someone of another race or culture, the approacher tends to attempt a sad faux exterior, one that they believe mimics the culture or race of the person being approached. Neither party wants to be stereotyped and the sum of who they are broken down to false assumptions of a stereotype put forth by media or racial misunderstandings. Instead, approach the other opening, acting as oneself, and opening show interest to get to know the other person for their unique quirks, personality, and talents. Second, while there certainly is intrigue to date outside one’s own social or racial parameters, ask yourself if this intrigue has turned into a fetish. This is again the expectation that a person act how the stereotype of that culture, race or ethnicity is perceived. 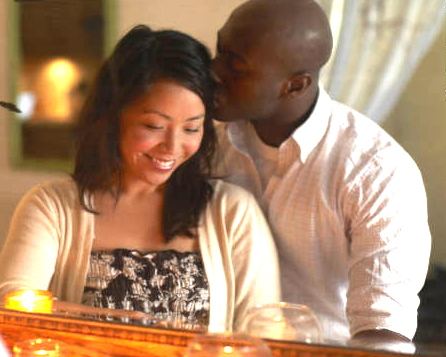 Dating outside one’s race or culture because you are drawn to another specific race or culture is not inherently wrong; but question if the motivation is to collect dating “trophies” or because you anticipate a generalized attribute. Every person is unique, and should be appreciated for what they offer. Based on this, remember to treat the other as an individual and get to know them as an individual. Learn about his or her interests, listen to his or her cultural traditions, and be sensitive to the hindrances she or he fights each day. For example, there are certain gaps in cultural, social, and gender experiences between black women and white man. Black women struggle with the inequity of jobs, education, and social status. Transversely, it is sometimes assumed that a white man can breeze through all three with relative ease, thus not completely comprehending the daily or life struggles a black woman may face. Being open to listening to and learning from the other’s social, cultural, and even gender frustrations makes for the possibility of longer-term and deeper-rooted relationships filled with empathy and support. Last, once connected to these differences, be understanding and open-minded. Do not make these experiences part of the stereotype. These stereotypes, both negative and positive, are perpetuated when people do not get to know others as individuals or understand that his or her experience in life is often based on how society has stereotyped him or her in the first place. Dating someone from a different background should be exiting, but not as an act of rebellion against closed minded relatives or just to “try something new.” Embrace the uniqueness of each other’s backgrounds, experiences, and personality first and foremost! 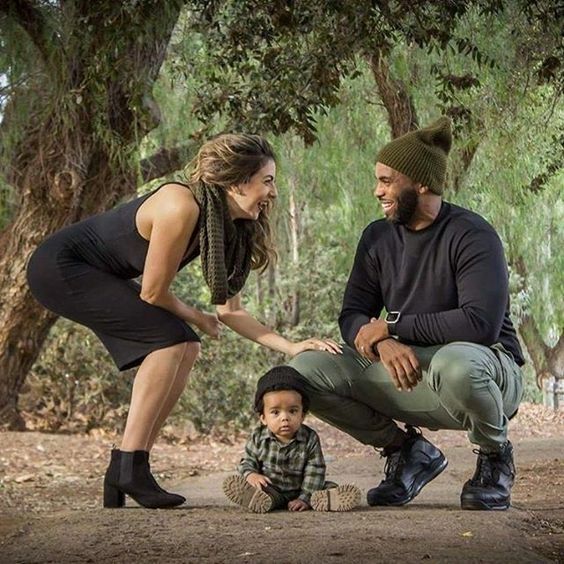 This entry was posted on Wednesday, December 9th, 2015 at 8:38 am and is filed under black women seek white men, black women white men dating, Interracial Dating Advice. You can follow any responses to this entry through the RSS 2.0 feed. You can leave a response, or trackback from your own site.